Tag Archive | "Andrew Secor"
Cedar Springs Public Schools is saying goodbye to another administrator. 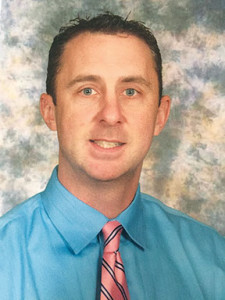 Andrew Secor, principal at Cedar View and an 18-year employee of the district, is leaving to become principal at Jamestown Upper Elementary for Hudsonville Public Schools. “I’ve really enjoyed my time in Cedar Springs as a coach, teacher, and principal,” said Secor. He was just 22-years old and fresh out of college when he landed a job at Cedar Springs Public Schools as assistant varsity basketball coach to Dave Schlump. “I coached for 14 years, six as Dave’s assistant and eight as the head coach. I was fortunate to work with so many great players, as we won 10 district titles and three league championships during that time frame. One of my favorite memories of that time was working with an amazing coach staff that had such deep Cedar Springs pride,” he remarked. Two years after being hired as assistant basketball coach, Secor was hired as a teacher at Cedar Trails. 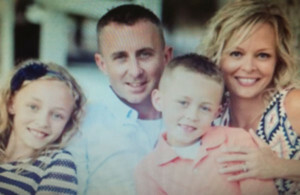 He taught at Cedar Trails for six years, then Beach for four years. He then became assistant principal at Cedar Trails for two years, and was a principal at Cedar View for four years. The Post also asked Secor what words he might have for the community. “While it saddens me that many outstanding educators have left the district recently, this is a strong staff and community which will continue to serve students to the best of their ability,” he said. He also said that he and his wife are excited about the academic and athletic opportunities that Hudsonville will provide their children. But he doesn’t take for granted what they have been given here. “It has been a great place for my children to receive a high quality education, while being cared for and loved, and making lifelong friends. I don’t take for granted the impact that teachers, principals, and community members have played in helping my children to become better people. Thank you to everyone who has played a role in their lives,” he remarked.